When I was in Brazil, this past december, I saw in a fancy store a HUGE mobile hanging in the middle of the store.. to be honest I was not sure if it was a mobile or a chandelier. I was in doubt if I can call something that looks a chandelier a chandelier with no light inside… Anyway… since I came back I got obsessed to make one. Not HUGE like the one I saw.. but one in a smaller scale. This was actually a super easy and fun project to make. I did it in 1 hour and 30 minutes aprox. while watching that movie Now You See Me. 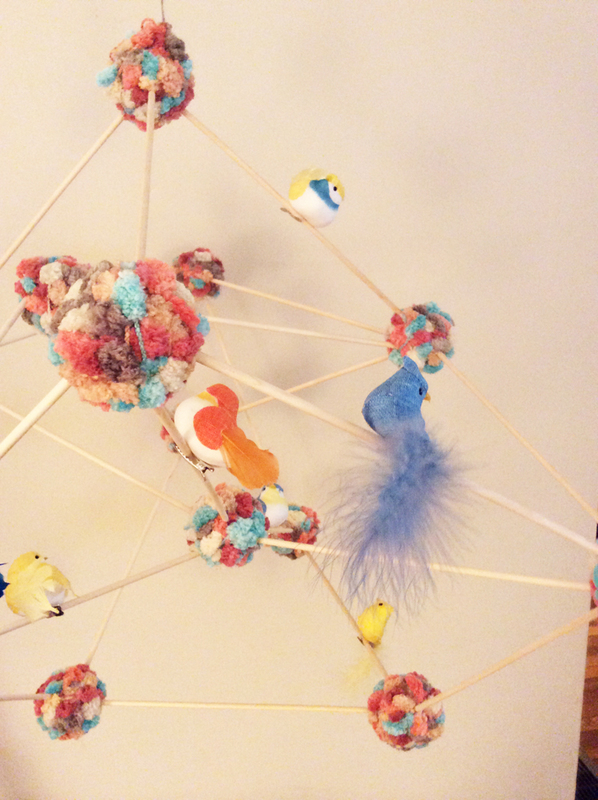 My daughter had a lot of fun helping me glue the yarn balls to the sticks. 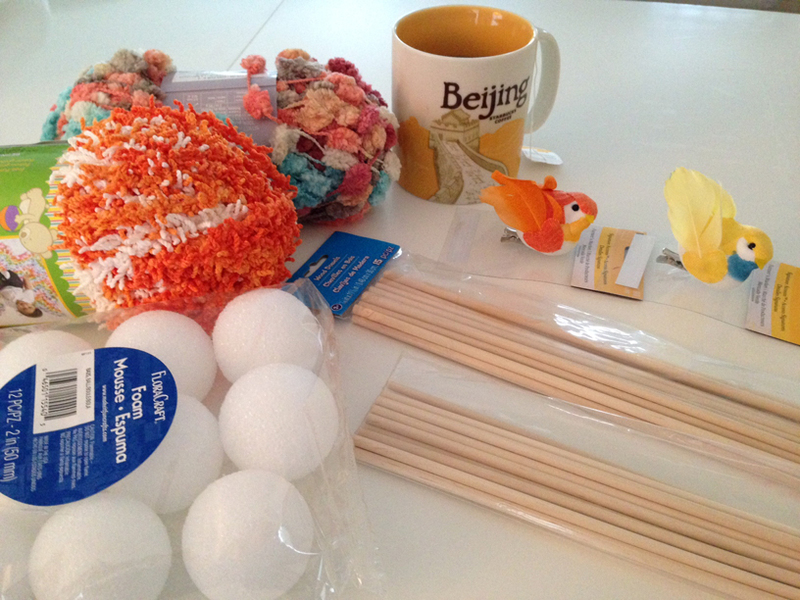 When I was almost done, my son showed up from a birthday party he attended and stood still, trying to “guess” how I made all the yarns balls to connect… So I think that this is a easy project that can be done to entertain kids. This is what you’ll need. Note the cup of coffee…? Yeah.. you will need that too. 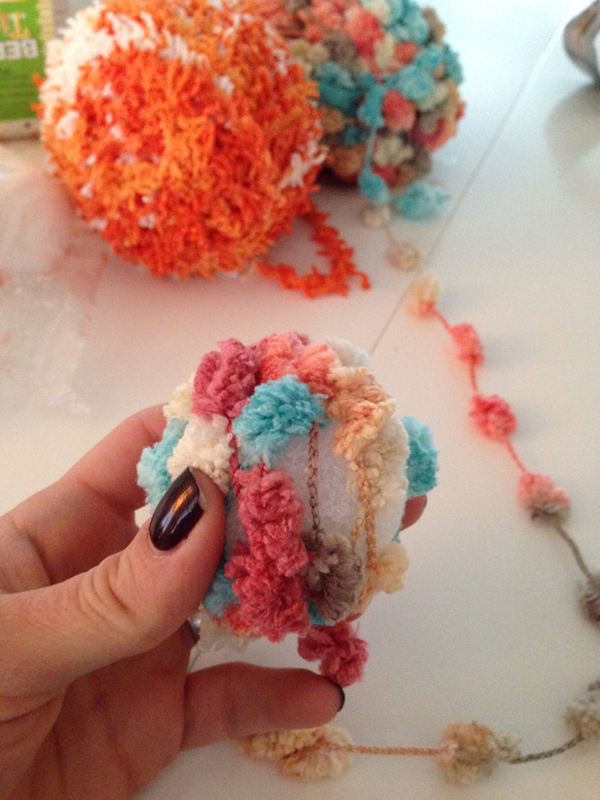 Roll any kind of yarn on the foam balls until they are completely covered. I used 12 balls for this project. 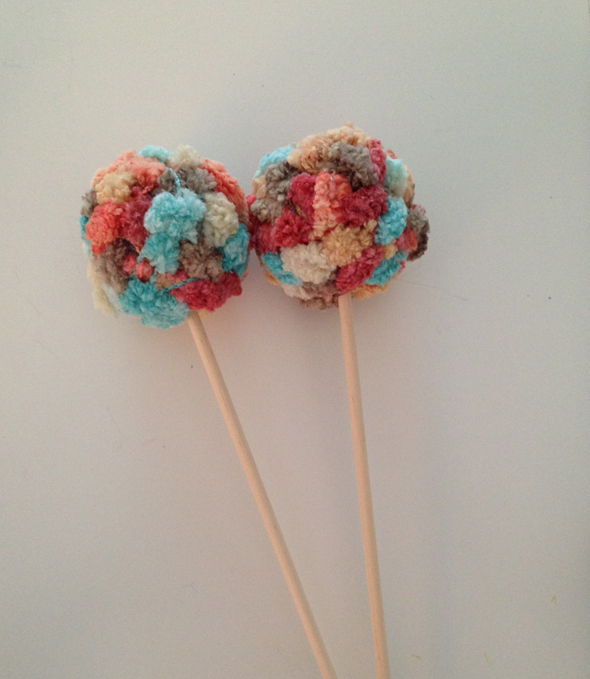 Connect the yarn balls with the dowels by dropping a dot of hot glue in the tip of the dowel and then sticking it inside of the yarn ball. Like my daughter point it out.. you will have lollipops! You can then start connecting the other end of the dowels. Go as crazy and abstract as you want. Choose one of the balls to use as a hanging point. 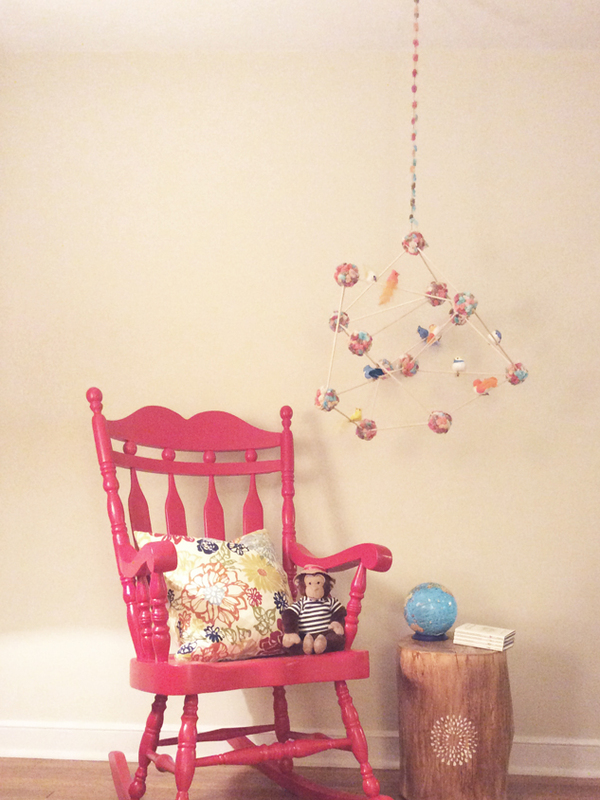 Glue a string, yarn, or ribbon on it so you can hang it. 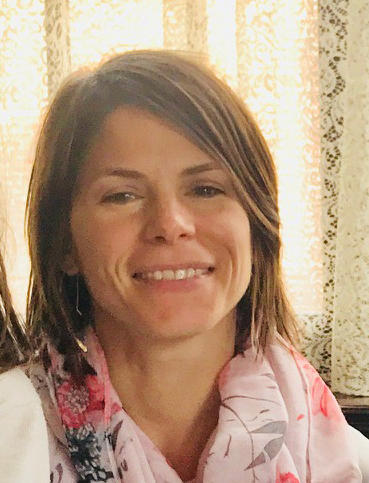 In the mobile I saw in Brazil, they had Tucanos made of origami… Honestly, they were very cool… probably, I have the brains to figure it out how to do it… realistically….uhhhh no, thank you. I went to Michael’s and they had those cute little birds that I could just clip on the dowels for 40% off. Voila! muy lindo e interesante, acordate pensamiento positivo.